How is it affecting the ocean? Climate Change is a Major change in temperature and other elements of weather like precipitation and wind patterns that lasts for a very long time. Climate Change, more commonly known as Global Warming, started in the mid 20th century during the industrial revolution and is the result in high levels of carbon dioxide in the atmosphere. Climate Change is caused mostly by the burning of fossil fuels which produces large amounts of CO2 that keeps the sun's heat from escaping the earth's atmosphere. 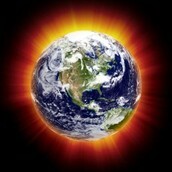 Climate Change is a long term problem that is still in effect right now and is getting worse every year. The extra carbon dioxide in the air reacts and mixes with the ocean's water and has devastating effects on the organisms living the ocean. Crustaceans and other organisms with exoskeletons are getting hurt by the acidity in the ocean that is dissolving their outer shell. Coral bleaching is a common problem that can be deadly to the coral and the organisms that depend on it. When the water the coral lives in changes in temperature (in this case the ocean is getting warmer) the coral loses a type of algae that helps the coral stay healthy resulting in a weak coral that is susceptible to mortality more so than other coral. Another issue caused by Climate Change is the melting of large reservoirs of frozen water near and at the poles. 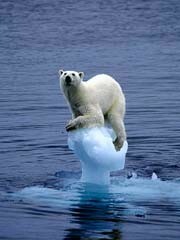 Animals like Polar bears and Penguins are losing their homes to the raising temperature of the ocean. Not only does melting ice caps mean no home for animals in the north and south poles, it also means no home for all people living near or on the coast. Raising water levels will destroy infrastructures near the ocean. Another thing caused by Climate Change that will damage buildings and homes is extreme weather. Extreme and unpredictable weather is the result of rising temperatures in the ocean. Stronger and more numerous hurricanes will develop because one of the main ingredients in a hurricane is warm ocean temperature. Climate Change is a real problem that is affecting the ocean. 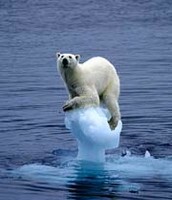 Fast melting ice is destroying habitats of many animals. An acidic ocean is damaging to organisms with shells. The earth is gradually getting warmer as the effect of CO2 takes place. WHY IS THE OCEAN SO IMPORTANT? Not only is the ocean covering more than half of the entire Earth, it regulates the weather and produces 50% of all the oxygen on the planet as well as being a main supplier of jobs around the world. The ocean is made of water and water absorbs and releases heat at a much slower rate than land, keeping summers a little cooler and winters warmer, causing the temperatures to be mild. Also, ocean currents move warm water to colder areas and cold water to warmer areas. The ocean is kind of like a forest, teeming with aquatic plant life. This plant life is responsible for releasing half of all the oxygen we breathe. Some aquatic plants are able to adapt to changing temperature, many are not. Out of every six jobs, one is marine related. Without an ocean with fish, crustaceans, plant life and all the other elements that are part of a healthy ocean, many people around the world would be unemployed. The ocean is very important to not only the well-being of the Human race, but to the well-being of our planet. Climate Change is caused mainly by fossil fuels. The burning of natural gas, coal and oil release CO2 into the atmosphere. How can we stop this? Policies can be placed to regulate the burning of fossil fuels and the use clean and renewable resources like hydro power or solar power can be encouraged. Electric cars instead of normal cars that run on gasoline help reduce the amount of carbon dioxide being released. Installing solar panels on the roof of your house is one way you can reduce your reliance on fossil fuels. Turning off lights when they are not needed and unplugging your phone after it charges are ways you can help to slow down Climate Change. Are you willing to do what it takes to save our ocean as well as our planet? 1 "Climate Change and the Oceans." New England Aquarium. 1 Jan. 2014. Web. 12 Nov. 2014. <http://www.neaq.org/conservation_and_research/climate_change/climate_change_and_the_oceans.php>. 2 "Five Reasons We Are All Connected to Oceans." The Nature Conservancy. 1 Jan. 2014. Web. 12 Nov. 2014. <http://www.nature.org/ourinitiatives/habitats/oceanscoasts/explore/five-reasons-we-are-all-connected-to-oceans.xml>. 3 "Climate Change." Ocean Portal. Smithsonian. Web. 12 Nov. 2014. <http://ocean.si.edu/climate-change>. 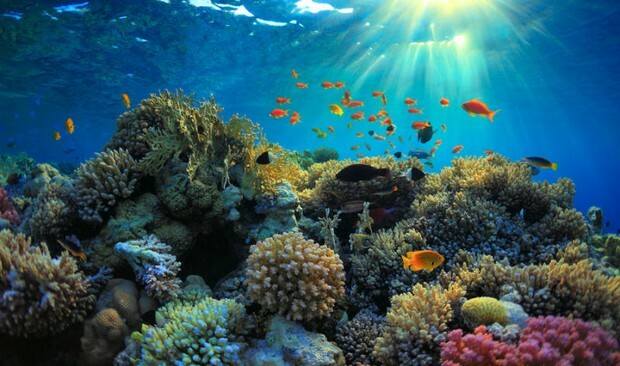 4 "What Is Coral Bleaching?" National Ocean Service. 5 Mar. 2014. Web. 17 Nov. 2014. <http://oceanservice.noaa.gov/facts/coral_bleach.html>. 1 Kushner, Jason. "The Impact of Global Warming on Oceans." Bionomicfuel.com. Web. 14 Nov. 2014. <http://www.bionomicfuel.com/the-impact-of-global-warming-on-oceans/>. 2 "Climate Change." Ocean Portal. Smithsonian. Web. 12 Nov. 2014. <http://ocean.si.edu/climate-change>. 3 Mackay, D. "The Problem of Climate Change." Energy Mama. 4 Dec. 2013. Web. 14 Nov. 2014. <http://www.energymama.si/>. 4 "Coral Itself May Play Important Role in Regulating Local Climate: Coral Chemicals Protect against Warming Oceans." Science Daily. 23 Oct. 2013. Web. 15 Nov. 2014. <http://www.sciencedaily.com/releases/2013/10/131023165248.htm>. video: How Global Warming Works in Under 1.4 Minutes. 2013. Film.